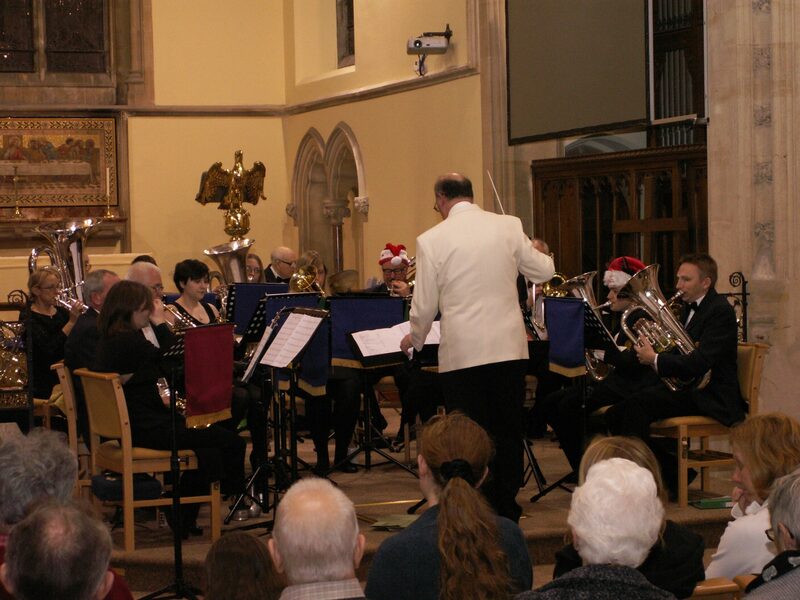 Warminster Brass Band held their 2013 Christmas Concert on Saturday 6th December at Christ Church in Warminster. 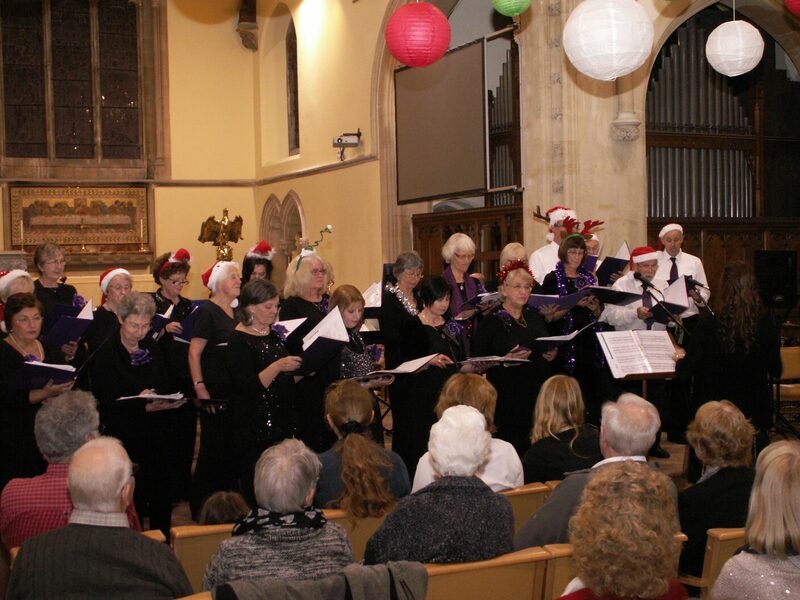 For the first time, they were joined by the Warminster Community Choir, led by Joanna Turner. The first half featured the band performing a variety of seasonal music, both traditional and modern, including flugelhorn solo “A Winter’s Tale” performed by Teresa Nunn and band favourite “Walking in the Air” from The Snowman. 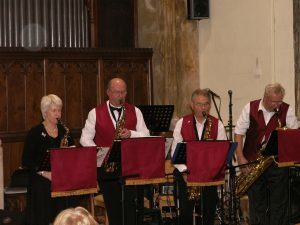 The half was rounded out by Saxology, who regularly join the band for concerts, and which features band members Mike Nunn and Pat Cutler. The second half began with a set by Warminster Community Choir, which included “Away in a Manger”, “Carol of the Drum”, and “When Santa Got Stuck Up The Chimney”. They were then joined by the band to perform “Baby, It’s Cold Outside” and “Jingle Bells”. 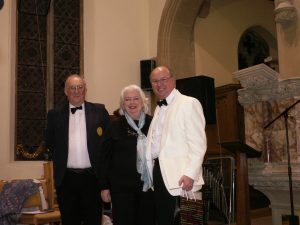 The Christmas Concert also marked the end of musical director Mike Nunn’s time leading the band. Mike has decided that, after 10 years, it is time to pass on the baton. Deputy musical director Helen Thornton will be taking over in 2014. The band will be performing in Morrisons in Warminster on the mornings of 21st December and Christmas Eve. We wish you all a Merry Christmas and hope to see you in the new year!